Finding the right senior living community can be a challenge, especially if you are looking for one close to modern conveniences, activities, with a fun relaxing atmosphere, and easy living amenities. Many senior communities may provide what you are looking for in a home, but lacks community appeal or the town has little to offer. This is where Silverado Village Placerville stands out. This community combines all of the necessary features and fun in a charming atmosphere while still giving residents the ability to be homeowners. Placerville is full of independent shops, easy living days, friendly people and restaurants. Silverado Village Placerville was designed for seniors with amenities to make daily life easier and more enjoyable. The community is made up of 113 homes, each ranging from 1,207 to 1,590 square feet. They are all single-story and feature two bedrooms and two bathrooms. Traveling outside of Placerville isn’t the only thing that residents of Silverado Village can enjoy; the community has many downtown festivals and special events. Some of the most popular festivals that the town sponsors have been the Art & Wine Festival, Bell Tower Brewfest, Craft and Antique Fairs, Classic Car Shows and the Festival of Lights. 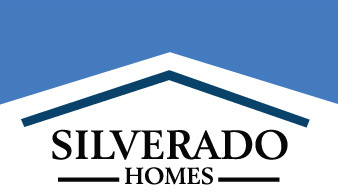 The homes at Silverado Village Placerville provide the option of being able to maintain homeownership while being specifically designed around seniors’ needs. Each home features extra-wide door openings, lever-style door handles, no-step walk-in showers, lower-set kitchen cabinets and microwaves. The newly built homes are energy efficient, with programmable thermostats, tankless hot water heaters and water conserving toilets and faucets. Residents of Silverado Village have access to the Village Center, where they can take advantage of options such as an indoor heated swimming pool, a spa, a fully equipped fitness center, and a multi-purpose room for community use. Homeowners also have access to the Eskaton Lodge, where they can enjoy restaurant-style dining or even have a meal delivered to their home. Silverado Village has a unique multi-level approach, which offers added services and assistance if the need should ever arise. Some of these extra options within the same neighborhood include assisted living apartments and memory care.